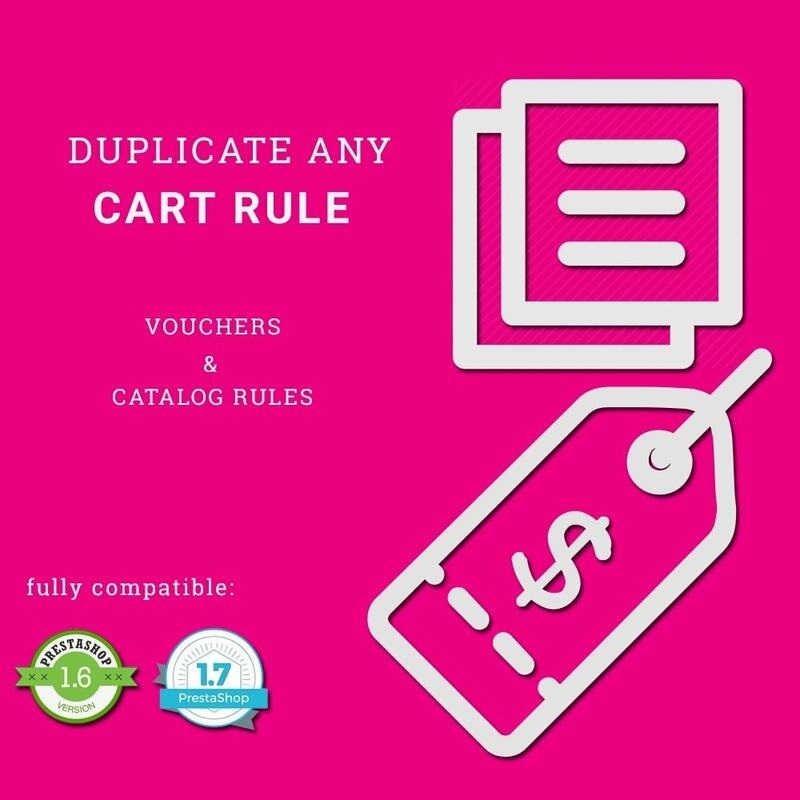 Duplicate or clone any cart rule, coupon, voucher or catalog rule very easily with this module. 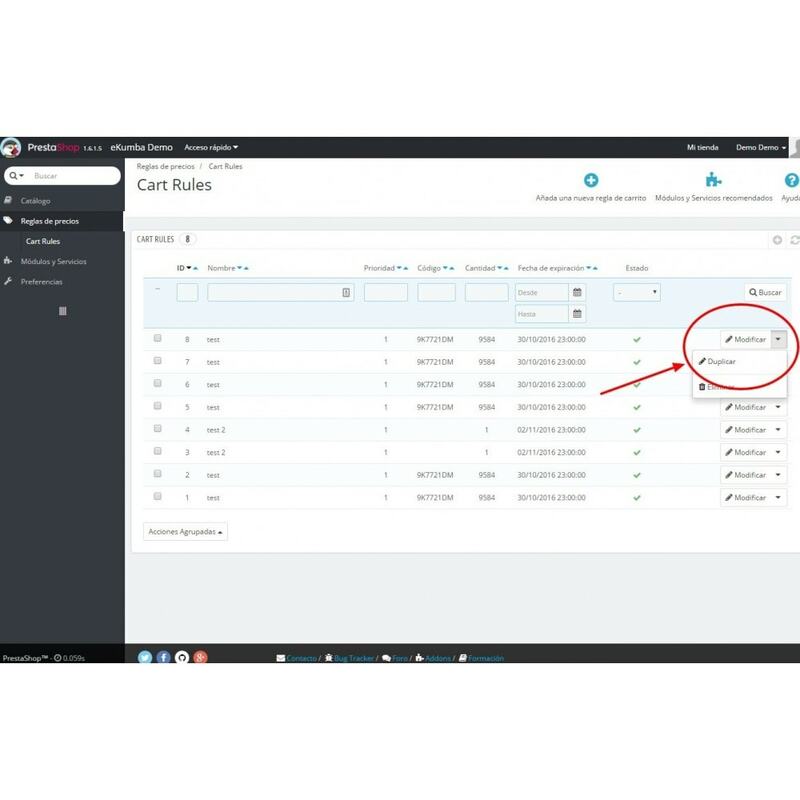 Duplicate cart rules right from your prestashop panel with a single click. 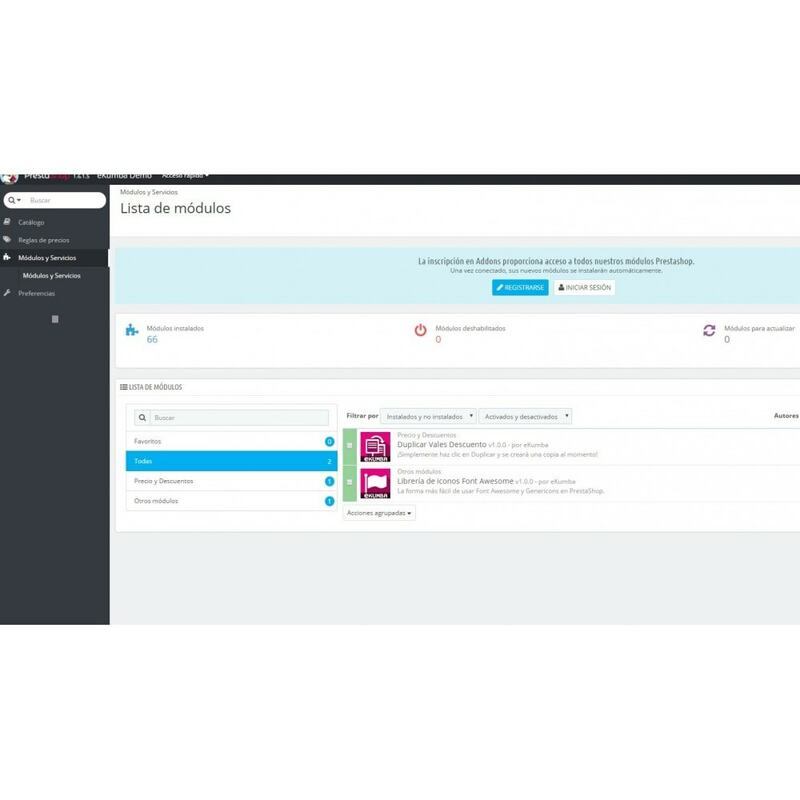 No more tedious work creating new coupons with the same parameters, save tons of time! This module clones all the data from the original cart rule like descriptions, codes, conditions, actions, etc. This procedure will work for coupons, vouchers, cart rules and catalog rules. Just enter to the newly generated cart rule and modify whatever you need. 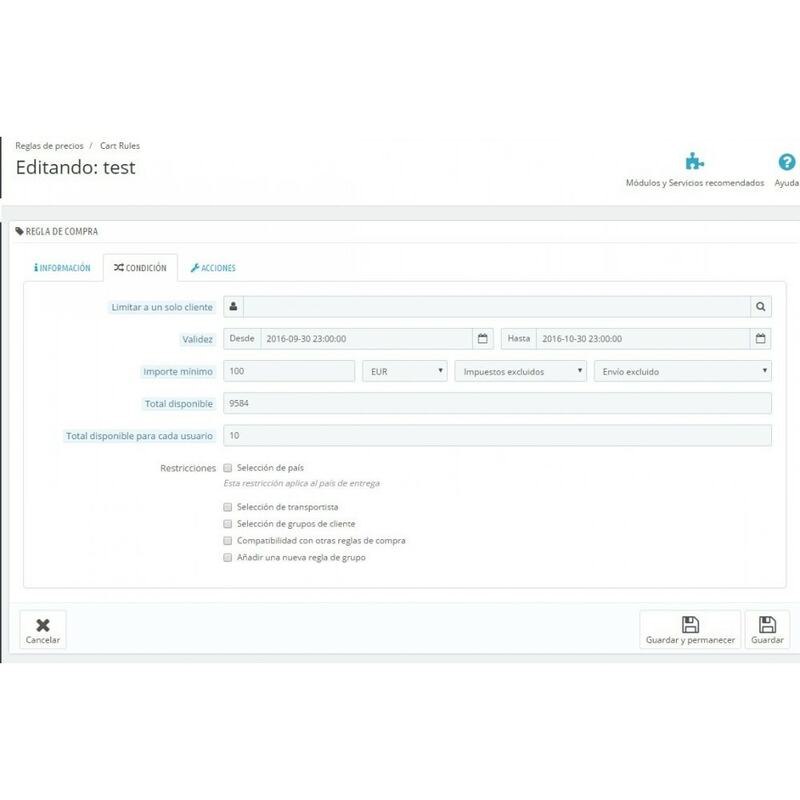 Duplicate any coupon, voucher, cart rule and catalog rule with a single click, with the conditions, restrictions, and actions.